Coimbatore-based WARP create A House of Small Talks — a home that establishes a dialogue with its adjacency as well as internally on a micro scale, through an exercise of stacking and skewing volumetric functionalities. 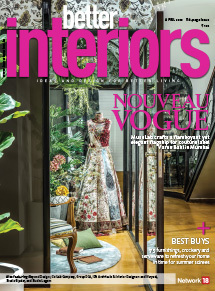 MS Design Studio marry classic and contemporary design with rich textures and intricate detail creating a home in Vadodara that wholeheartedly embraces luxury and opulence but is immensely tasteful nonetheless. 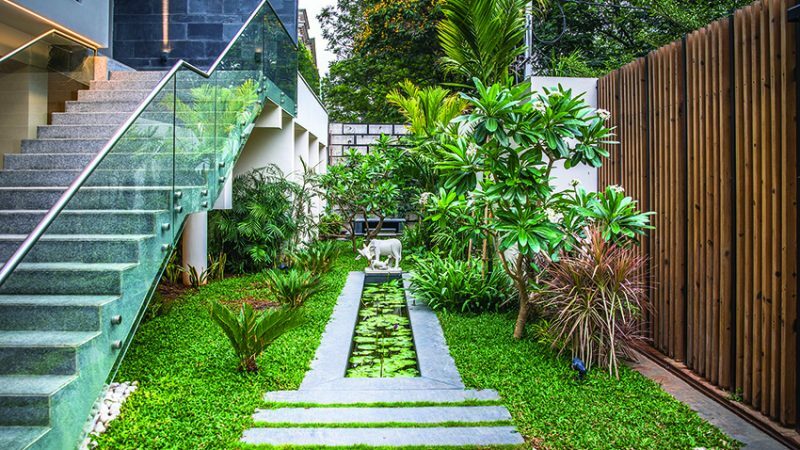 Somewhere between being a redesign and a completely new structure, the House of Tropics by Urban Zen, is exemplary not only for its aesthetics but also for how it navigates the unique structural challenges to create a green haven tailored to the client’s original vision. 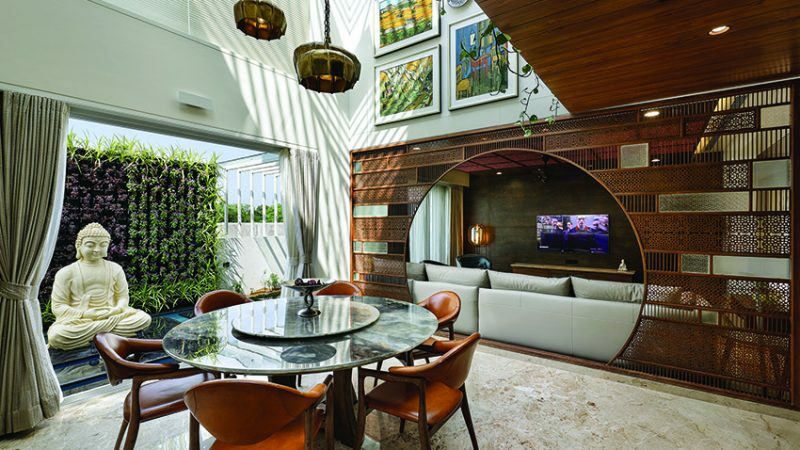 New Delhi-based interior designer Sanjyt Syngh creates a home for himself organically and intuitively with only one self-set requirement: the space would use a lot of art and sculptures, mostly collected on his extensive travels. 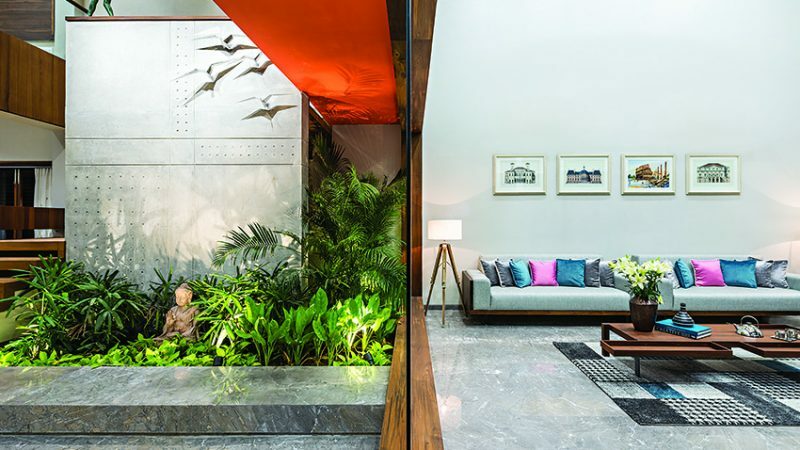 Breaking away from the cliches associated with contemporary luxury living, a 5BHK apartment in Mumbai sees the beautiful union of neo-classical and modern design influences — courtesy ABM Architects. 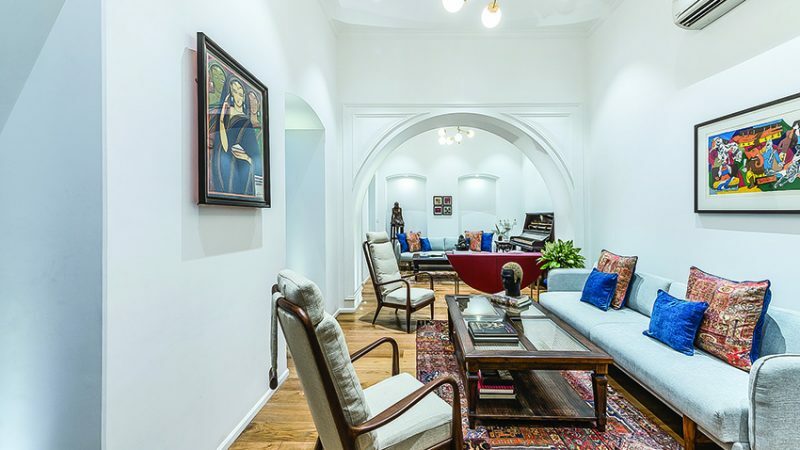 The Kolkata-based Mandals’ keen desire to imbibe life inside a dying cultural asset — a 125-year-old building — resulted in a home which can easily pass off as a modern art gallery replete with interesting artworks and bespoke sculptural furniture. And they got to thank architect Abin Chaudhuri and his team for this graceful transformation. 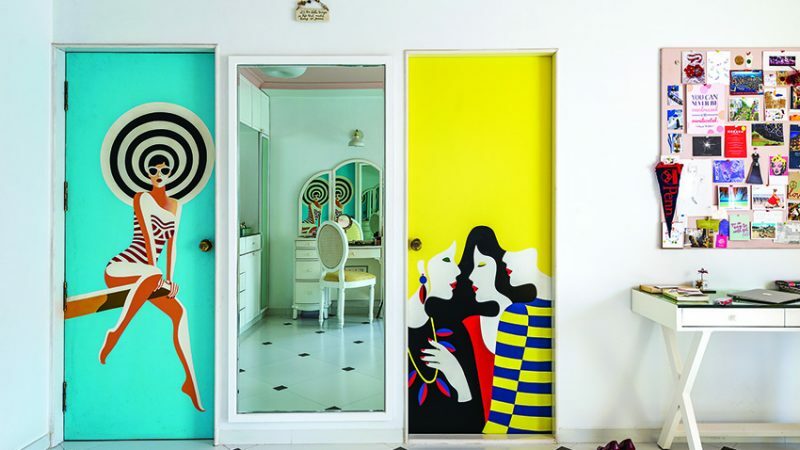 Replete with painted walls and doors, artwork collages and colourful materials, the Surat home of V-Create Architects’ Eshita Marwah and Rutvan Sheth is the sum of all its arts. 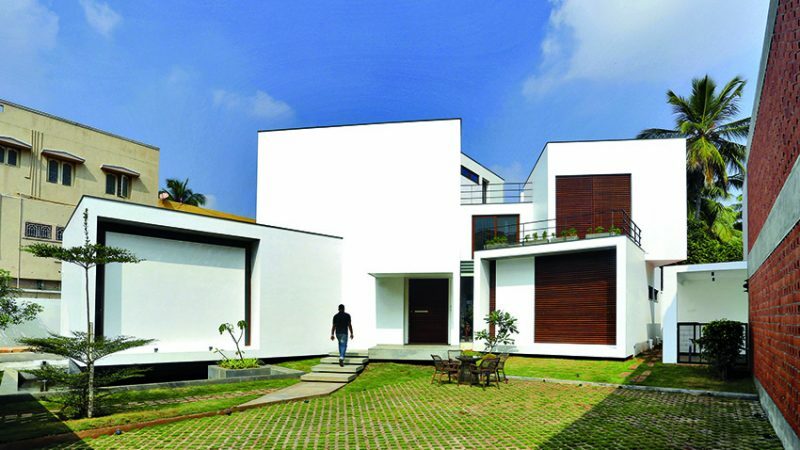 Reconciling the antipodal requirements of visual porosity/seclusion and openness/security, Lijo.Reny.architects create a simple and formal home at Mallapuram, Kerala, that is at once one with nature yet stands its own ground. 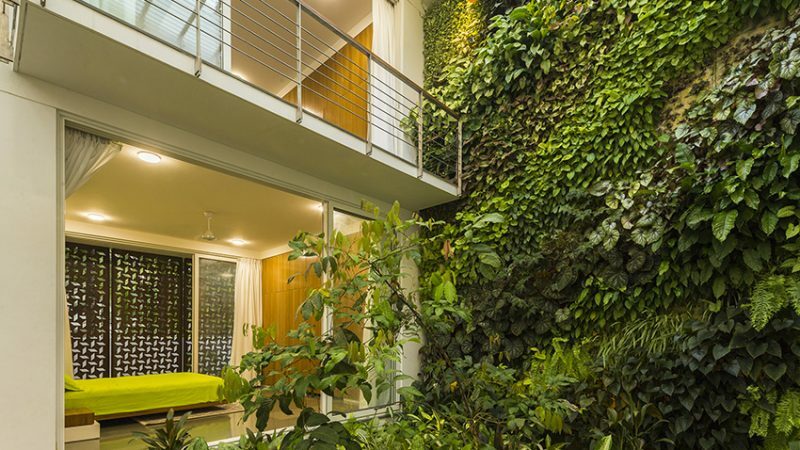 The Grid Architects harness sun, soil, light and verdure to create a clean-lined, elegant dwelling in Ahmedabad whose serenity is in stark contrast with its densely-populated surroundings. 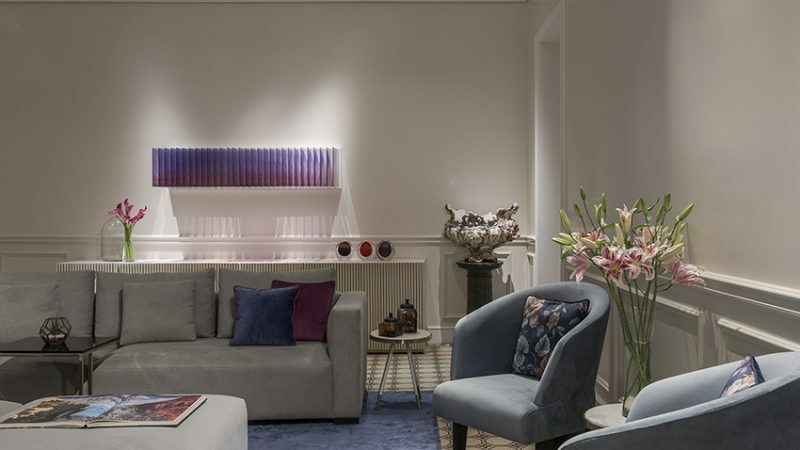 Maintaining a steadfast fidelity to the intrinsic quality of space, Atelier Design N Domain rejuvenate a Gothic/Art Deco apartment by reviving existing elements and sensitively adding others — to create a home that is geared to cater to the demands of modern living. 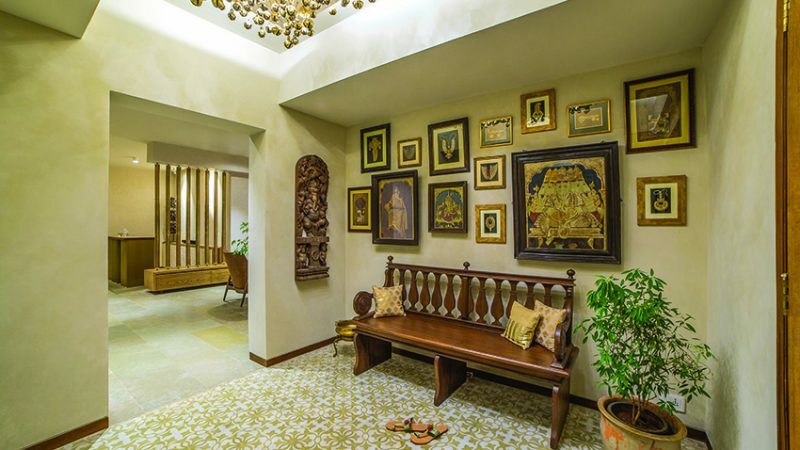 Emitting warmth and positivity, the Khemlani home in Pune, designed by architect Rubel Dhuna, is a big treasure box filled with natural light, airiness and some stellar bespoke furniture, lighting and decor accessories.